Disclaimer: This post is sponsored by Pamela’s, but all opinions are my own. Thank you for supporting the brands that I love. 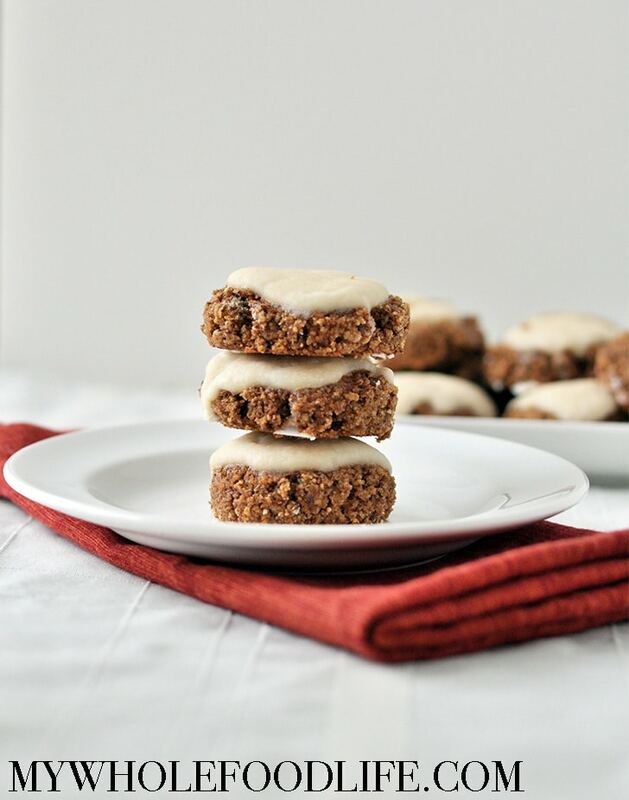 If you love gingerbread cookies, you have to try these Soft-Baked Iced Gingerbread Cookies! They are perfect for holidays and very easy to make. I used Pamela’s grain and gluten-free nut flour blend. 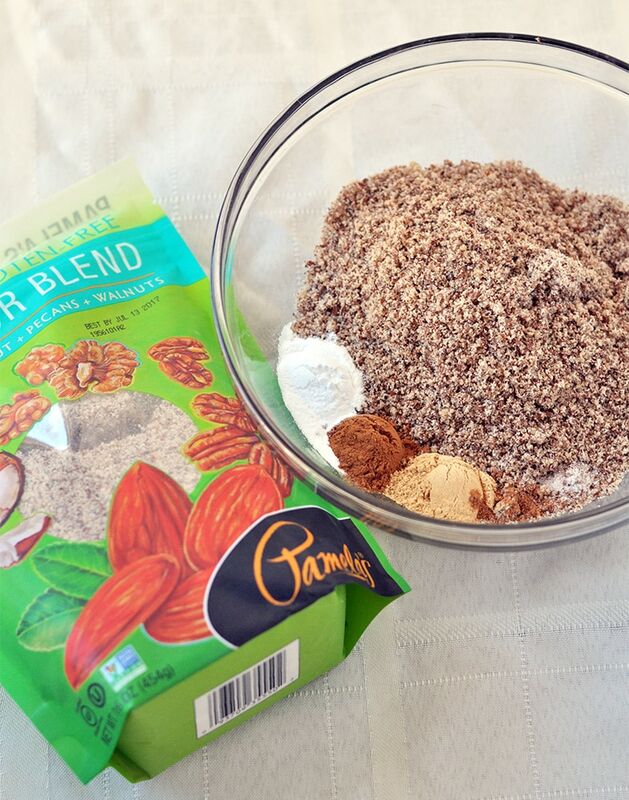 One thing I really love about this nut flour blend is that there are no added ingredients. Typically, gluten free flours often contain xanthan gum or guar gum. Pamela’s has neither. The only ingredients in this flour blend are: almond flour, coconut flour, pecan flour and walnut flour. The flours of the pecans and walnuts in this nut flour blend go so well with all the warm holiday spices. I also plan on trying this baking blend in place of almond flour in pie crusts! With this flour blend you also get 16% DV Fiber per Serving and 4g protein per Serving! Certified Gluten-Free, Wheat free, Non-Dairy, Non-GMO, Paleo-Friendly, No Hydrogenated Oils or Trans Fats and 0g Sugar. To find Pamela’s products near you, you can use the store locator on their website. 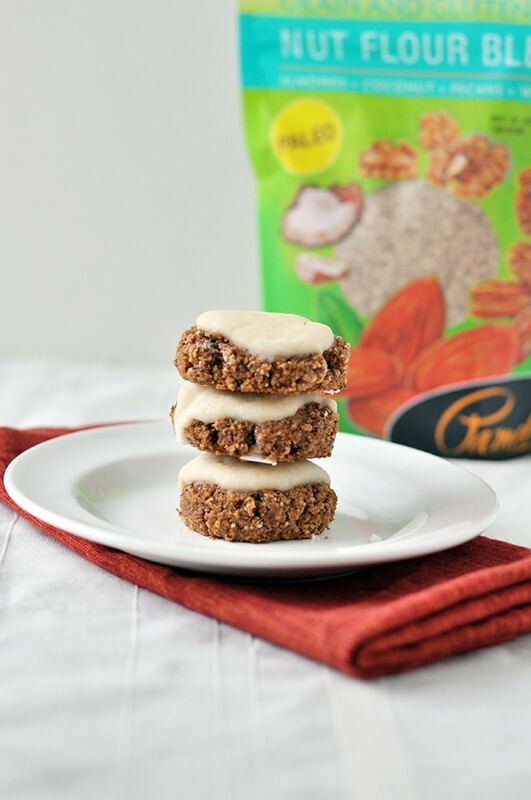 The nut flour blend of pecans, walnuts and coconut make these soft-baked gingerbread cookies a winning holiday recipe! Vegan and gluten free. In a large bowl, add all the dry ingredients and mix together. In a small bowl, add the wet. 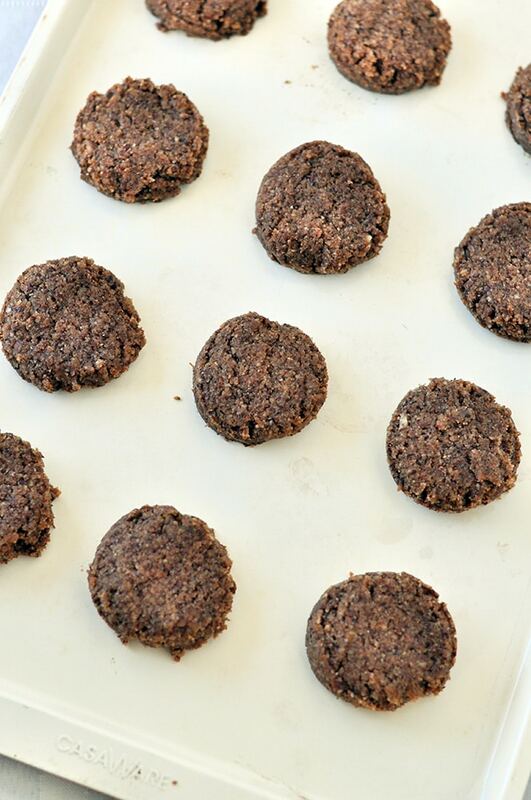 Use a cookie scoop to drop cookies onto a lined baking sheet. When the cookies are cooled, spread the frosting on top and place in the fridge to set. Keep these stored in the fridge for best results. They should last a couple weeks that way. Enjoy! I don' think there is any way these cookies would last a couple of weeks at my house! They look delicious! Haha! They went fast here too.